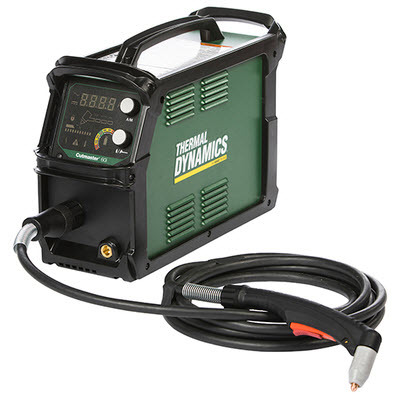 The Thermal Dynamics® Cutmaster® 60i 3 Phase plasma cutter with 50 foot torch operates on smooth, stable and highly efficient 3 phase input power. 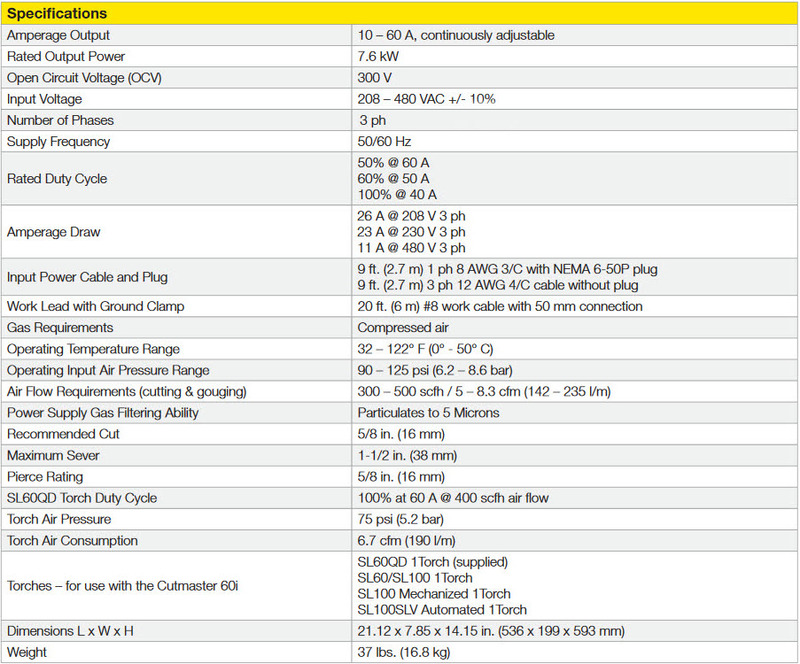 It produces up to 60 amps of cutting output and automatically detects input voltage from 208V to 480V. It has a recommended cut capacity of 5/8" with maximum sever capacity of 1 1/2". It also pierces up to 5/8". Weighing in at only 37 pounds, the Cutmaster 60i 3 Phase has the highest power-to-weight ratio in its class. The Cutmaster 60i 3 Phase has a large digital display with gas optimizer (automatically detects the optimal gas flow for your cutting application) and consumables end-of-life indicator. It comes with the new SL60QD™ 1Torch® which features quick disconnect torch head for convenient, more economical replacement. 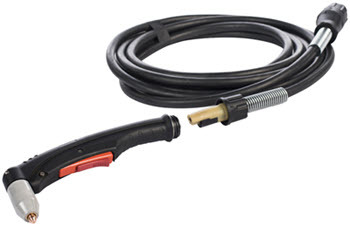 The SL60QD plasma torch uses standard Thermal Dynamics 1Torch consumables. The 60i comes complete with detachable work lead and clamp and features an external compressed air water separator for easy draining. The Cutmaster 60i carries ESAB's 4 year warranty on the plasma cutter and 1 year warranty on the plasma torch. FREE 2 Stage Air Filter ($246 MSRP value). PLUS get a $100 Burn And Earn™ Visa® Gift Card from ESAB® when you purchase a Cutmaster® 60i plasma cutter. Download Burn And Earn™ Rebate Submission Instructions HERE. All rebate forms MUST be submitted electronically to ESAB no later than July 15, 2019. Offer expires 6/30/19. 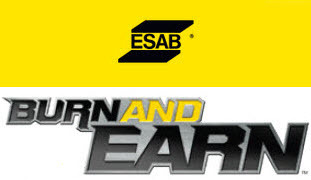 ESAB�s industry-leading service and support means that if you do need help, you�ll be protected by the most comprehensive warranty in the business. Genuine Thermal Dynamics® replacement parts for your SL60 1Torch plasma torch. Suitable for Cutmaster® 38 & 39, Cutmaster® 42, Cutmaster® 51 & 52, Cutmaster® 81 & 82 plasma cutters equipped with the SL60 Thermal Dynamics® 1Torch.